With the clocks changing this weekend and the evenings getting darker you might prefer to opt for an indoor training session. 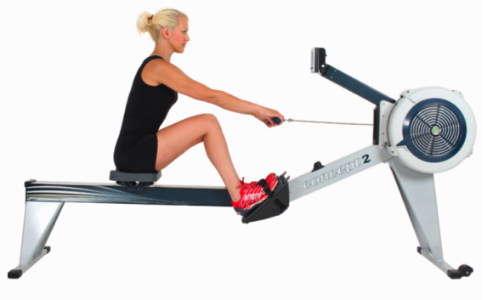 One of our favourite gym-based exercises is Indoor rowing. It’s a really effective work-out that uses large muscle groups simultaneously, burns calories at low and high intensities and is really low impact making it great for all levels of fitness. 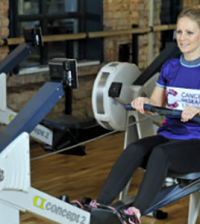 Terry O’Neill, former Olympic rowing coach and fitness consultant at Concept2, has put together this quick guide to indoor rowing – by simply adopting the correct indoor rowing technique combined with healthy eating, you will be well on your way to fitness. – Always warm up thoroughly before and cool down and stretch after each training session. 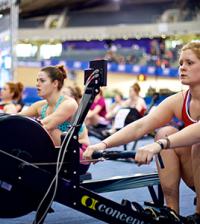 – Take time to develop the correct technique before increasing training intensity. – When beginning an exercise programme don’t overdo it – start slowly and build up gradually. – Drink plenty of water during and after exercise. Don’t wait until you are thirsty. 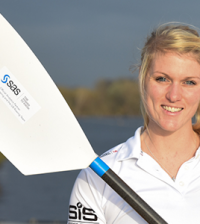 – Keep a training log to help set realistic goals and targets, and plan future programmes of work. It is Important that after every training session you cool down to slowly bring your heart rate back to normal and reduce your body temperature. It is vital to stretch all the major muscles after training to help prevent injury, maintain your flexibility and reduce the effects of muscle soreness. 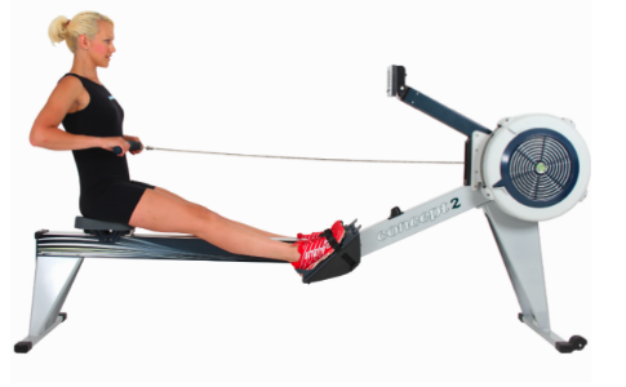 The correct technique is essential for gaining the best results from your rowing programme. The effort that you put into refining your technique during the early stages will improve both your performance and enjoyment of the exercise. 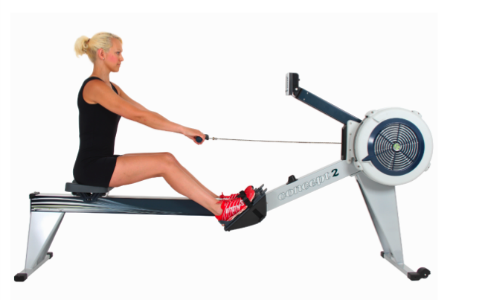 Illustrated below are the phases of the rowing stroke. Shins vertical with body pressed up to the legs. The arms are straight and relaxed. The position should not feel uncomfortable. The legs continue to push as the body levers back. The arms remain straight. The arms draw the handle past the knees and then strongly to the body, returning to the Finish position. Legs flat. Forearms horizontal. Lean back slightly, legs flat, handle drawn to the body. Forearms horizontal. You are now ready to take the next stroke. 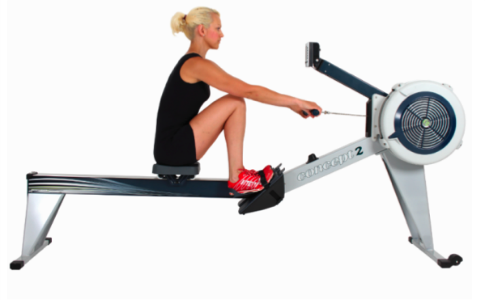 Not got a rower? 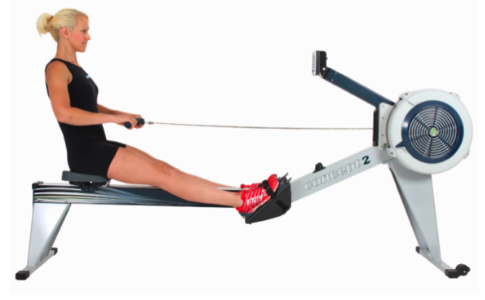 To help get you started, Concept2 has a hire scheme so you can enjoy this indoor workout from the comfort of your own home, while paying monthly like the gym. Rentals start from £35.75 a month and hire to buy rentals at £40.85 per month. For more information on the hire scheme, visit http://concept2.co.uk/shop/hire_scheme.